Flagstaff is home to a seemingly endless supply of over hyped restaurants, which is all too common in touristy areas. Unfortunately, Tourist Home is one of these overrated, overpriced downtown cafes that is popular for no reason. While the food is decent enough, the setting is cramped and noisy, and the pricing is outrageous. Tourist Home is not the best coffee shop in the downtown area. Late for the Train and Kickstand are both far better. Even Rendevous at the Monte Vista serves better coffee. The coffee at Tourist Home is served too lukewarm, so it feels like you have to down the drink really fast as opposed to taking your time enjoying it. Thus, getting coffee at Tourist Home is a bad value. The highlight of visiting Tourist Home is trying out one of their delicious pastries. As soon as you walk in, you can smell the freshly baked teats. They have all sorts of goodies including muffins, macaroons, and a delicious homemade pop tart. Although the ambiance, service, and actual entrees are all mediocre, Tourist Home is a great place to pick up a few bakery treats. They do offer some of the best treats in town! The breakfast menu is quite small although it includes a few interesting selections including a Quiche of the Day, Huevos Rancheros, and a Hash Bowl. We wanted to test out the Quiche, however the particular variety of the day seems unappetizing, so we went with the Huevos Rancheros, This dish was just okay, and definitely not worth the 10 bucks. Something about the seasoning was off and the fact that they used sweet potatoes as opposed to regular ruined the dish for me. We also tried the Citrus Grilled Chicken sandwich. This lunch dish was slightly better, although still overpriced for a small serving. Other lunch entrees include a limited number of sandwiches and salads. Basically, the pricing did not seem justified for a small cramped restaurant with barely any seating where you have to order yourself at the counter. 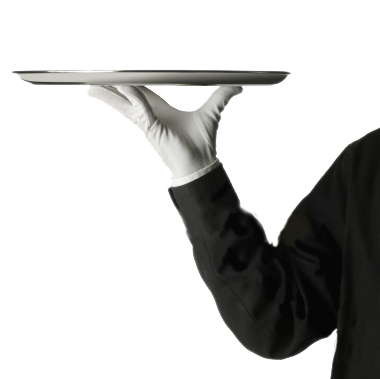 Any restaurant which does not provide waiter service should lower their prices. We paid over $30 for breakfast for 2 without any drinks. Add in the hassle to find a seat to sit inside and the absence of waiter service. No thanks - I will be skipping trendy Flagstaff restaurants like Tourist Home that are just out there to make a quick buck off unsuspecting tourists. There is no waiter service at Tourist Home. You scan a menu while you are waiting in line and then proceed to order at the counter. The food takes forever and is not even worth it when you finally do get it. Tourist Home is one of numerous small coffeeshop/restaurants in historic downtown Flagstaff. In all honestly, the space is way to small to operate as both a restaurant and coffeehouse, and hence, the experience is stressful for any visitors expecting a traditional coffeeshop/cafe experience. Tourist Home should focus on being solely coffeehouse, or expand its' space into a full blown restaurant. As it exists right now, the space is too small to handle restaurant sized crowds. The inside of Tourist Home is so cluttered and busy - it's impossible to find a seat unless you arrive really early in the morning. The wait in line is super long and it's frustrating to scan a menu with a line behind you. Why not hire a few waiters? And the music is so loud, it feels like you are in a bar rather than a restaurant. We were forced to take a seat outside in the blazing sun. If a restaurant is going to offer outside seating, then they should at least put up an umbrella or a covering, especially somewhere with a sunny climate like Flagstaff. It was an uncomfortable dining experience to say the least. Tourist Home is an easy skip in downtown Flagstaff. If you want good coffee, head over to Late for the Train which also offers tasty & affordable breakfast burritos. And if you want a great breakfast that will not cost you an arm and a leg, head over to Downtown Diner or Mix, both of which offer enough seating to accommodate their customers.